I had just the best day today ! First you go to the 25th Anniversary Reunion of your High School, then before you know it, it's the 50th. You know what, we haven't changed a bit. Three of us in the picture went to the same primary school and were in the same class & have known each other since we were 5 years old - just wonderful. Left to right Jan, Lois, Rhona (our form captain) and Robyn. All good, we swapped addresses etc of course, so should get some good photos in the next few days. Fun..... our class did one reunion for twenty five years.... not sure there'll be a fifty one. Oh Yes! there was a lot of laughter and remembering good times, i can assure you !! 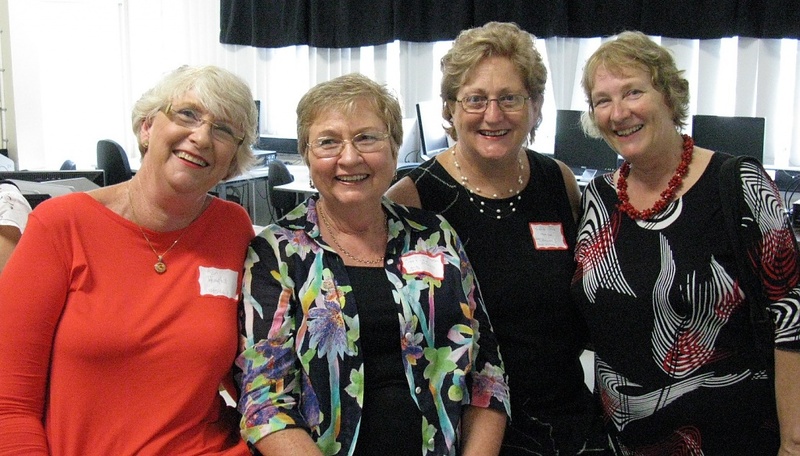 I don't think anyone in that picture could possibly be old enough to be at a 50 year high school reunion. ..... We had a thirty but with every few attendees from a class of just under four hundred. We would at 50 in 2016 but it will probably not happen. I agree with rayswrld, maybe this is your 50th reunion from nursery school. How nice! Hope everyone had a wonderful time! Way to go Mum... your photo made it onto the popular list today! And it's so good you're still in touch with your friends after all these years; unlike me. Wow what a precious moment captured....all ur faces are lit up with joy and it shows clearly!